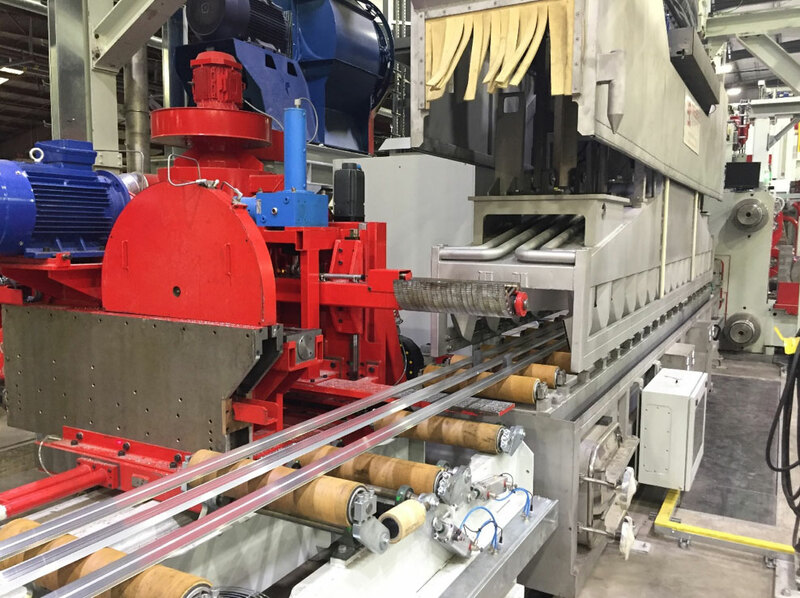 Presezzi Extrusion can realize different type of puller/saw systems able to perform the flying cut during the extrusion or the cut of the extruded profile on the die mark during the dead cycle time of the press. 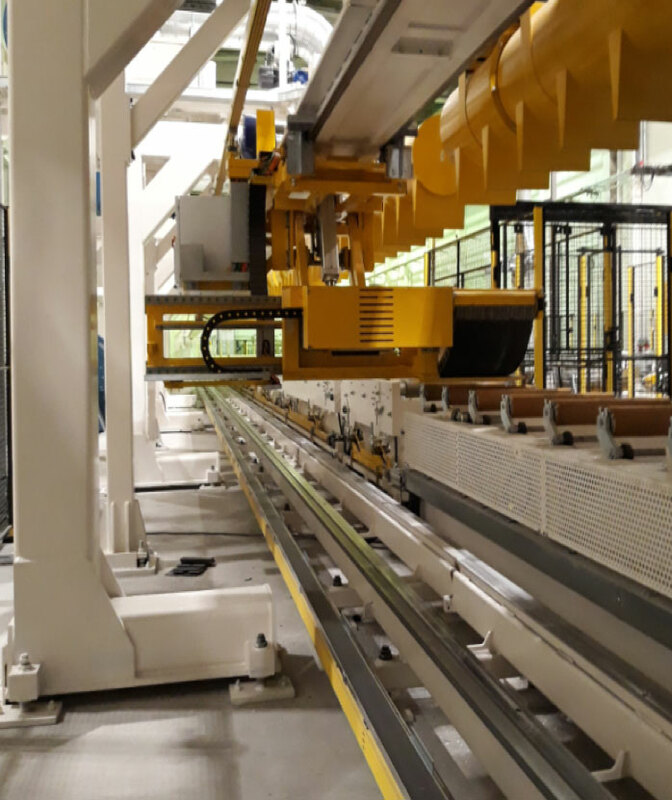 The systems are able to process extruded profiles with a range of linear weight that goes from 7 kg/m up to 50 kg/m. All the systems have completely electric movements and self-adapting jaws that follows the profile shapes, while the clamping force is according with the pulling force. All the movement on board are achieved by AC drives with frequency converters. 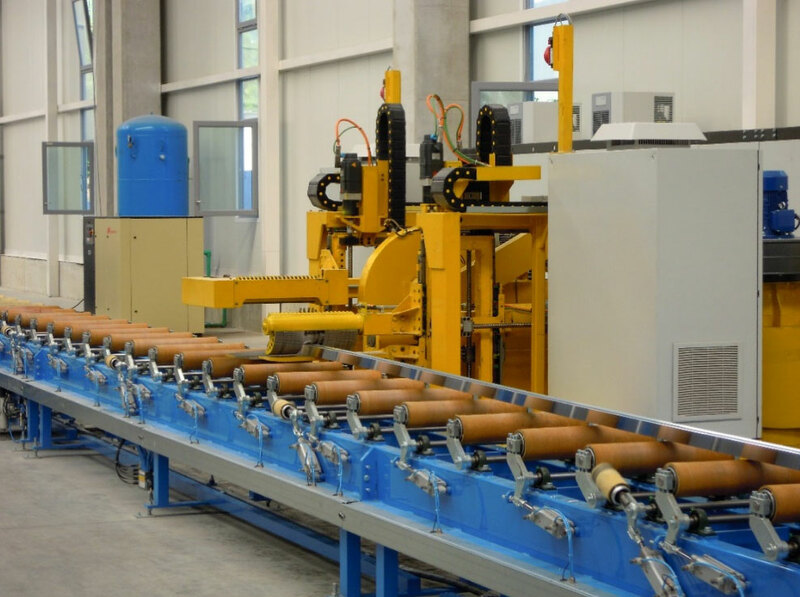 Double machine system: puller and puller saw machine. Puller and puller saw machine on the same rail track realized with steel guides and fixed to the floor. Electric units directly installed on board of both carriages. Works in torque control without stretching or looping the profile even during the acceleration or deceleration ramps of the press. Puller saw machine at the operator’s opposite side. Triple machine system: N°2 pullers and puller saw machine. The 2 pullers move on different rails (upper and lower) with steel guides and fixed to the floor. Perform the flying cut or the cut on the die mark. Movement with pinion-rack system, chain or belts. Puller saw machine at the operator’s side.